Check out the top story in the N&O this Sunday. The struggle continues for fair compensation and to secure housing for over 100 adults and children being evicted by Mountaire poultry plant. Donate to the cause ~ we need your help to continue empowering the community to stand up for their rights. Let us know about affordable rentals, call us at 919-742-1448 ~ the families wish to stay in Siler City and need help finding places to live. Sign up to volunteer to help residents move out of their homes ~ there are elderly folks and single moms who don’t have access to trucks and need help to move their belongings. Stay informed, sign up for our email list ~ learn about our plans to ensure that these and other low-income families have access to affordable and decent housing. We promise not to fill your inbox and never share your information with anyone. A big thank you to all who joined us and the families at the public meetings, spoke out on their behalf or helped in other ways. The residents were moved by your solidarity and grateful to know that they are not alone. We are very grateful to the NC Justice Center for their partnership and on-going legal assistance. 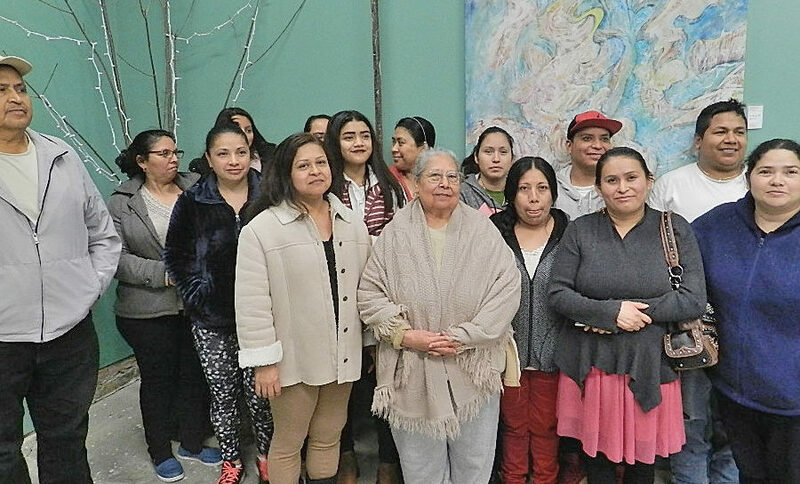 The Hispanic Liaison has been meeting with Johnson’s residents since August of last year, when we discovered that Mountaire Farms was going to purchase Johnson’s mobile home park and evict the residents of the 28 mobile homes. Most of the homeowners are Hispanic and have invested an average of $10,000 per family in the purchase and repairs. Unfortunately, the homes will not be able to be moved due to their age. The Liaison has helped residents articulate their needs and engage with Mountaire Farms in negotiations for a fair and just compensation for their losses and moving expenses. The negotiations started in January at a meeting between the residents, the company, and the town and county managers. 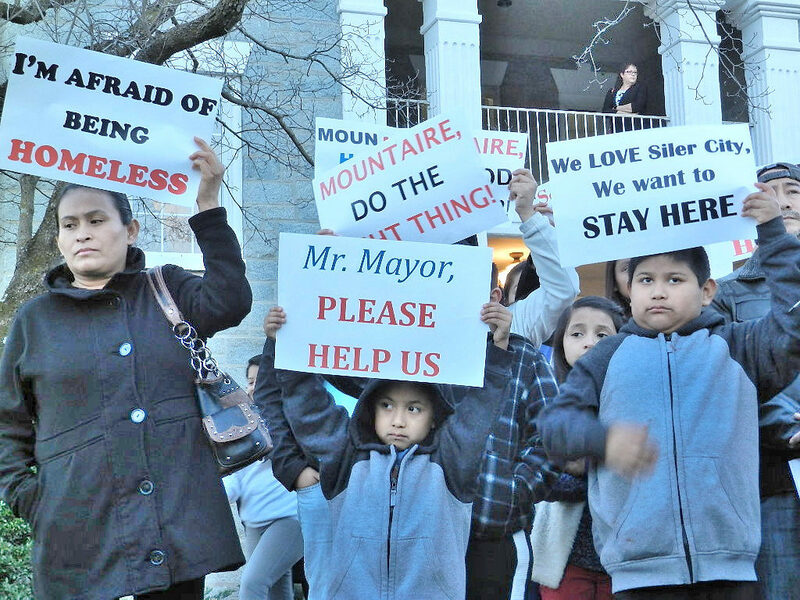 The Liaison and the families are united in our resolve to reach an agreement with Mountaire. We have a verbal agreement that the residents will not pay lot rent as of November and can move out by July 31st, instead of the original May 7th eviction notice. We hope to resolve this impasse and reach an amicable agreement with Mountaire very soon.